Out of all the days, I think this was my favourite. We woke up around 6am. We weren't due to breakfast until 7am so we stayed in bed for the longest time, just listening to the waves. The ocean was a little choppier this morning and the tide was even further out than the day before. We got ready and headed up to the dining hall to a breakfast of mini banana pancakes, coconut muffins and fruit. Fairly soon we were on the boat again, this time heading to Manta Point. This was what I had been looking forward to this whole trip. Rays in general are one of my favourite ocean animals, I love how graceful they are in the water. When we got to Manta Point we were told we would have to go in the dingy to look for the manta rays. There was another boat out looking for them too and they found them first. We quickly got our snorkel gear on and jumped straight in. There were three below us and the water was maybe 6 meters deep. They quickly vanished but we stayed in the water. We spent a while searching for them and eventually one of the guides found them again. I don't think I have ever swam so fast in my life, even against the strong current. The jellyfish were bigger and hurt more here too! I soon got to him and could see the three of them swimming over the cleaning station below. The biggest one, which was probably around 3.5m, swam away first, then a smaller one. One remained at the cleaning station and I spent what felt like half an hour (was probably 10 minutes) paddling in the water watching it in awe. Eventually another group came and I was getting tired so we went back to the boat. It was easily one of the best experiences I have ever had. 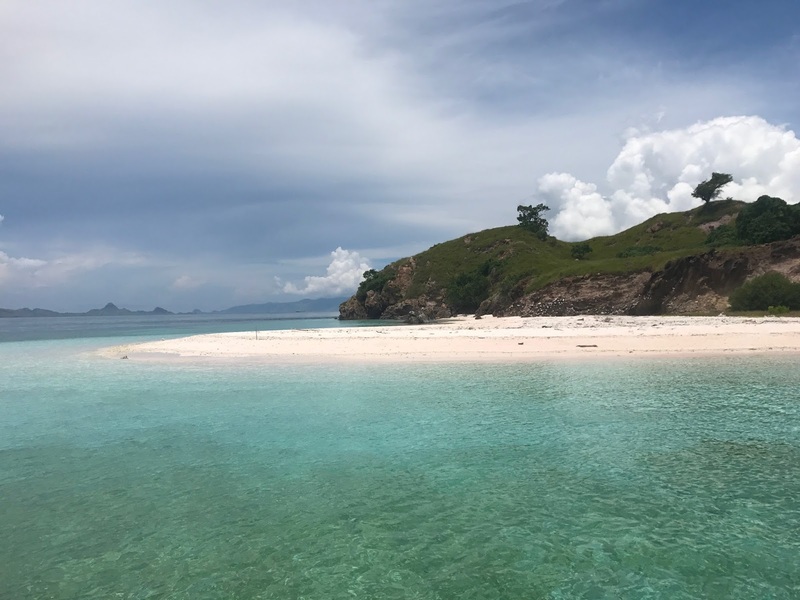 The next stop was Mawan, a tiny little island with a white sanded beach. The boat managed to anchor quite close to the shore so we swam from the boat to the shore. The current in the area was moving quite fast and moving in multiple directions so we swam around with that in mind. There wasn't much coral but the fish were plentiful. We swam out a little from the shore and saw some more unicorn fish. I spotted a family of clown fish in an anemone and Matt stayed there watching them for ages, poking their little faces in and out, checking if we were still watching. 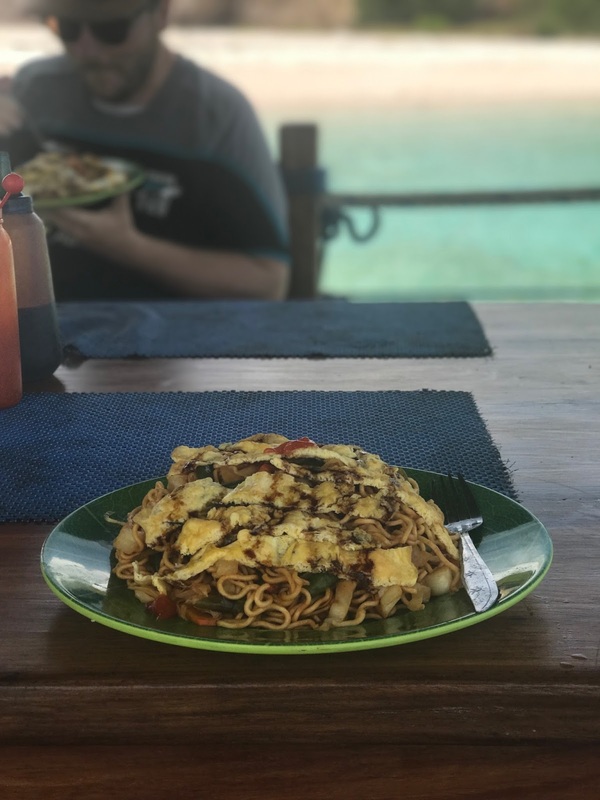 We went back to the boat and had some noodles for lunch and just spent ages relaxing on the boat. We hopped back in for a little swim before we got dry and changed as it was our last snorkel of the trip. 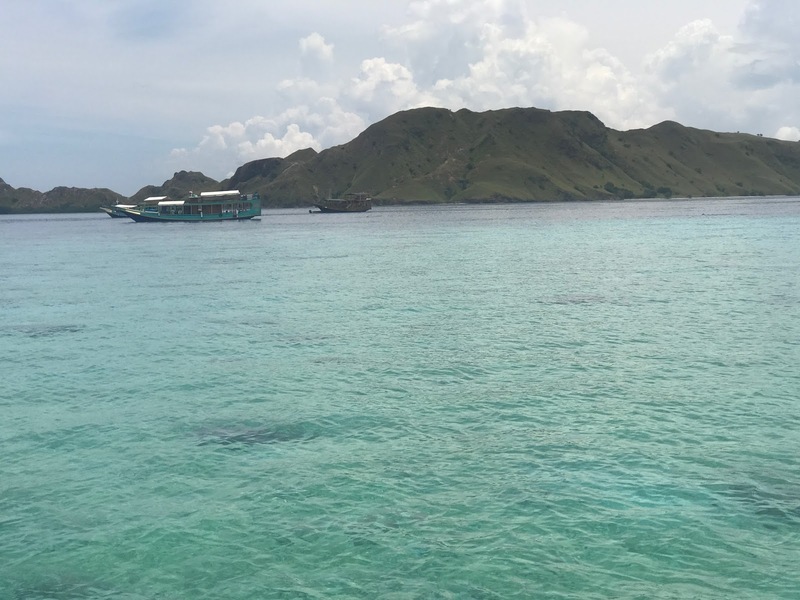 We spent some time at Mawan, just relaxing on the boat, even the guides and the captain went in for a bit of a swim! Eventually it was time to pull the anchor in and head to Rinca Island. 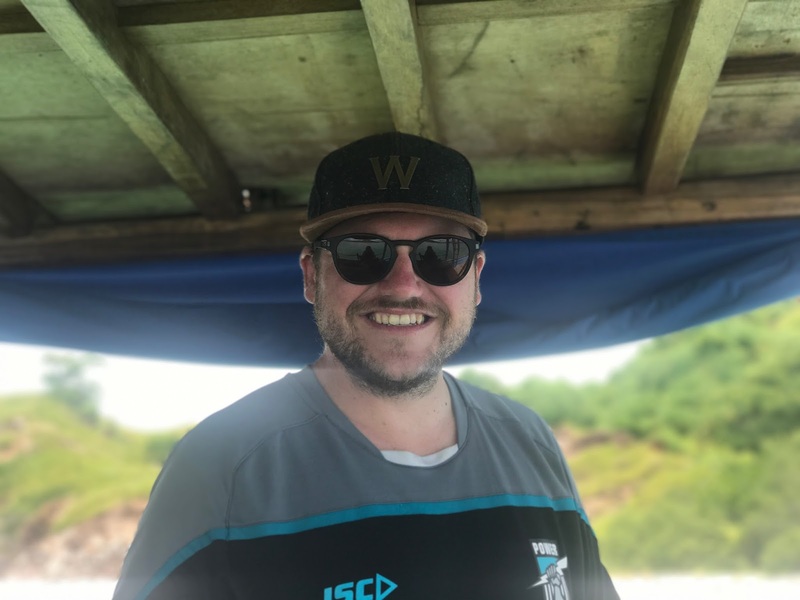 Rinca Island wasn't at all what I expected. The dock for the island was around a couple of bends and the island had a more mangrove/wetland feel to it. We paid our entrance fee and decided on the medium trek. 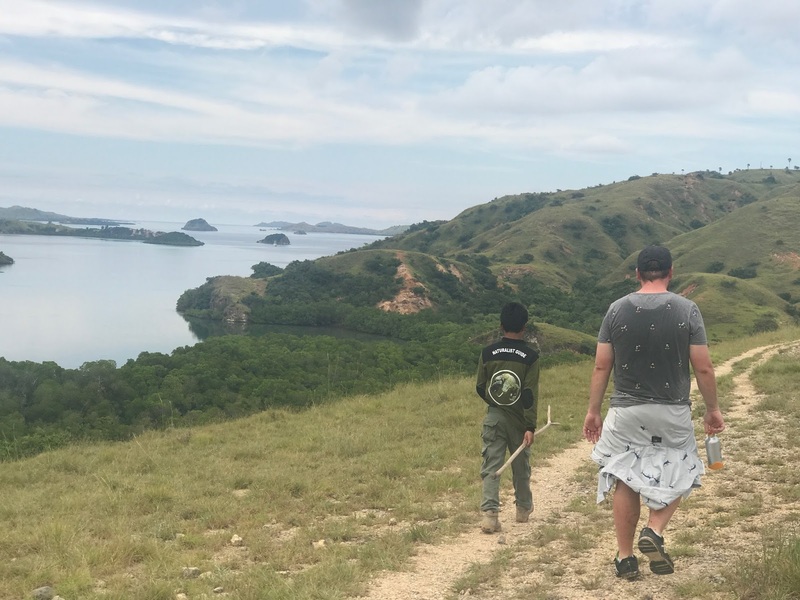 Our guide, Anton, wasn't as knowledgeable as the guide on Komodo Island but he was a great photographer, insisting on taking our photo at every look out or interesting spot. The first part of the trek was past this building commonly known as 'the kitchen'. 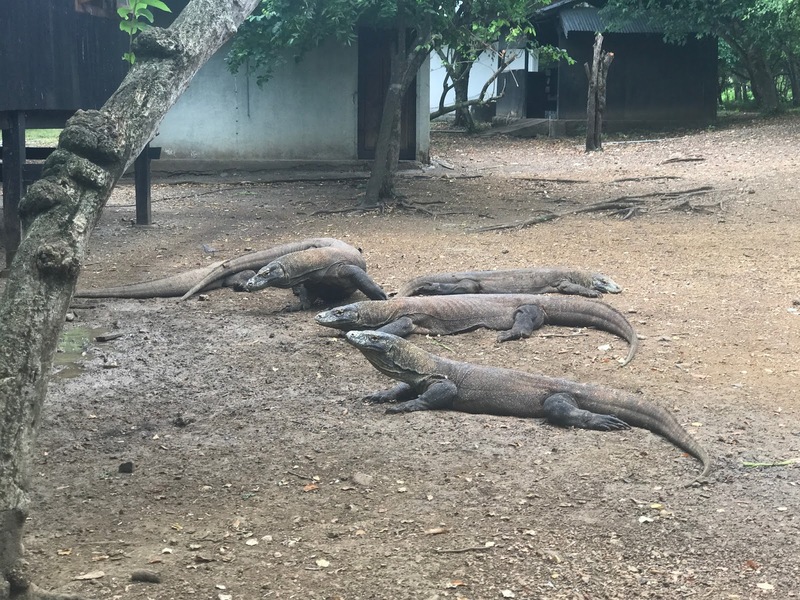 There were around 5-6 komodos laying down around the building and a couple more off to the side. The locals claim they don't feed the komodos but rumour is they do, I'll let you decide for yourself if you ever visit. The trek wasn't that long but there was a steep incline and it was quite muddy, my shoes got saturated. 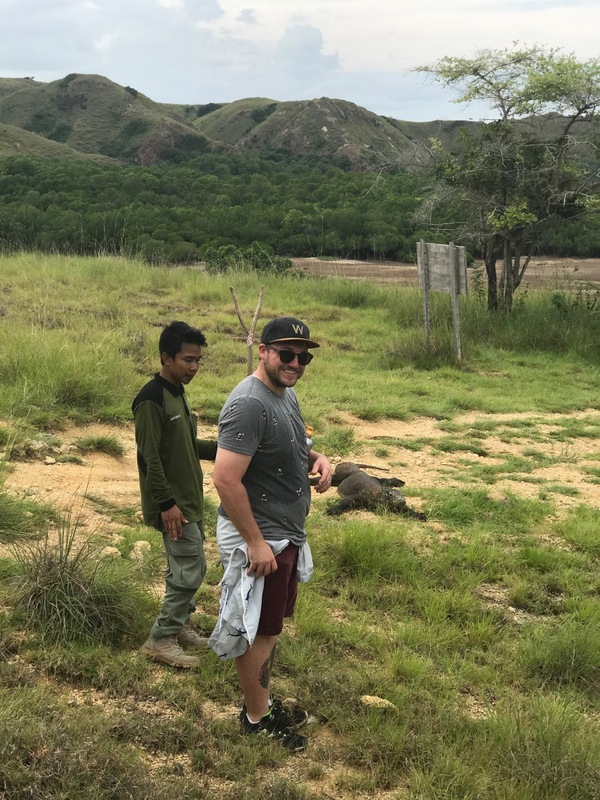 On the way back down we saw a komodo basking in the sun, Anton insisted we get behind it and take lots of photos. 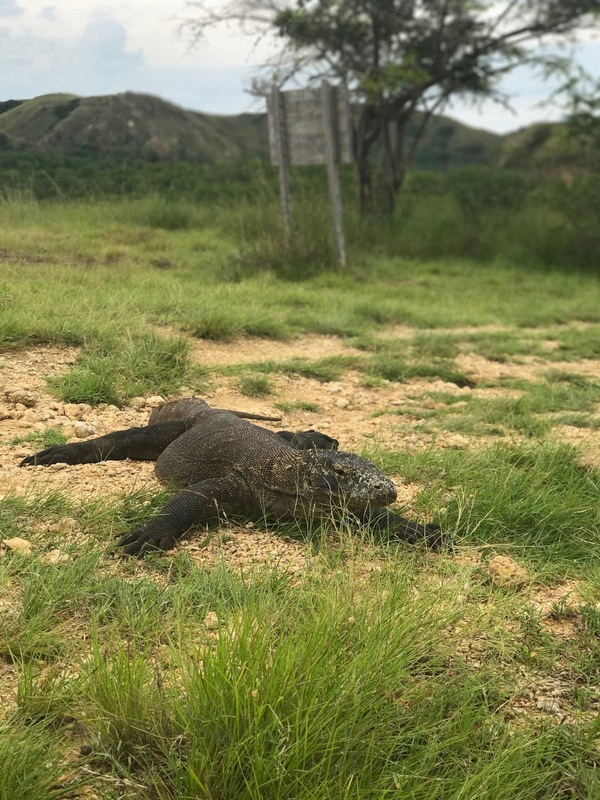 On the way back to the boat a komodo was crossing the open area, he looked like he was coming straight for us. 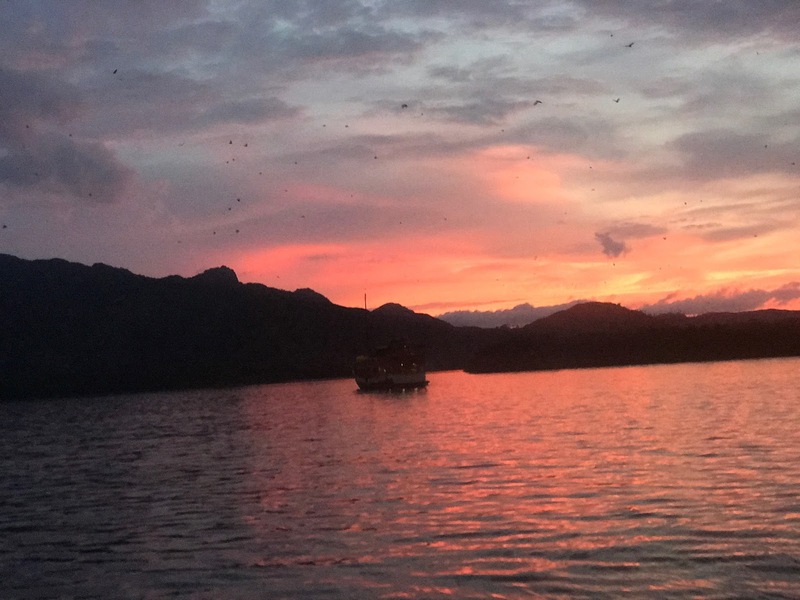 Once we got back on the boat we started heading towards Kalong. Kalong is a mangrove area in the middle of the ocean between Rinca Island and Flores. The area is full of fruit bats, or as they call them, flying foxes. 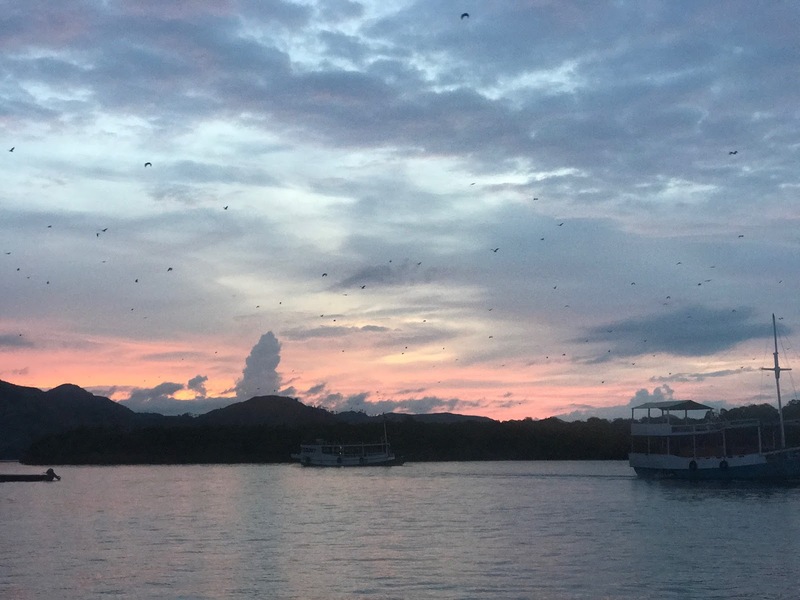 At dusk all the fruit bats from the mangrove fly out and head to Flores to find food at night. It was one of the most amazing things I have ever witnessed. An endless stream of bats flying in every direction against the sunset, beautiful. 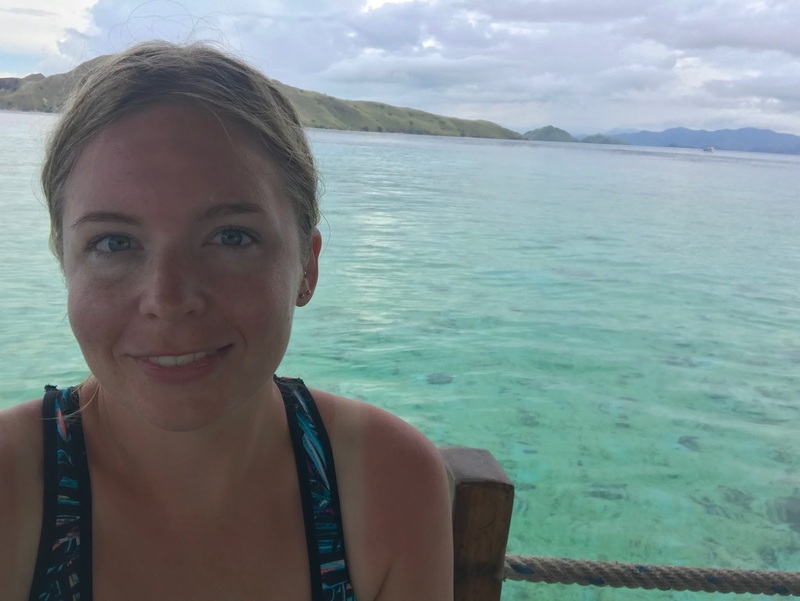 After watching for a while we made way back to Labuan Bajo, a 1.5 hour boat ride, to finish our tour. 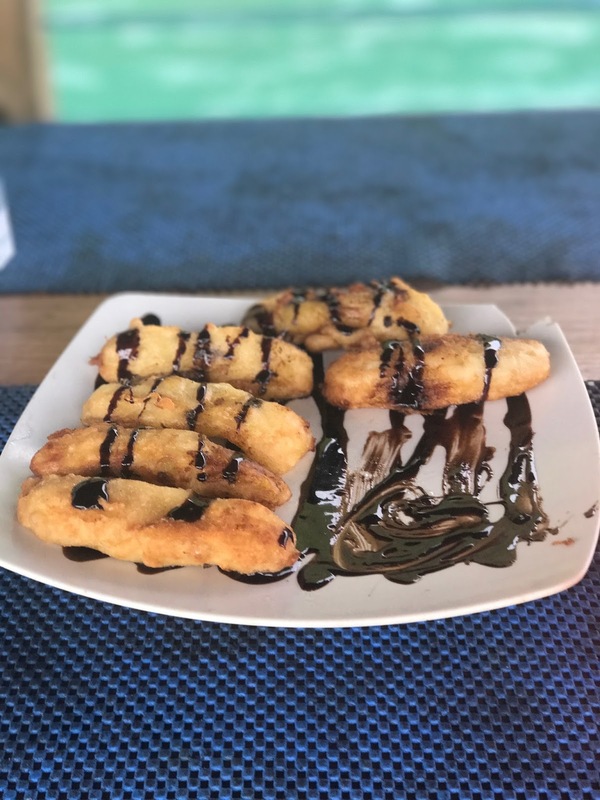 Once we got back to Labuan Bajo they took us back to our villa where we ate a dinner of mentos and rice crackers. 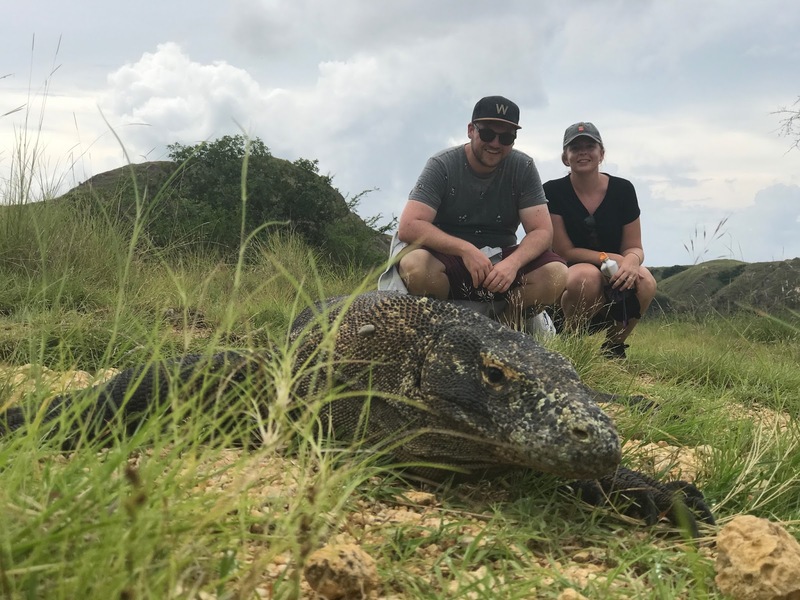 Going to Komodo Island was easily one of the most spectacular trips I have ever been on. I was definitely pushed beyond my comfort zone but I think that sometimes we have to be to really experience the wonderful things the world has to offer us. If I could go back tomorrow I would, and I can't wait to plan my next adventurous holiday. Stay tuned for a video I have put together of our trip that I will be uploading in the next couple of days!